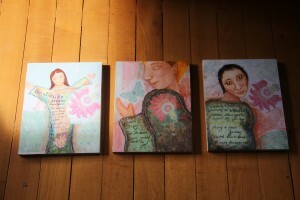 These are my latest artworks. 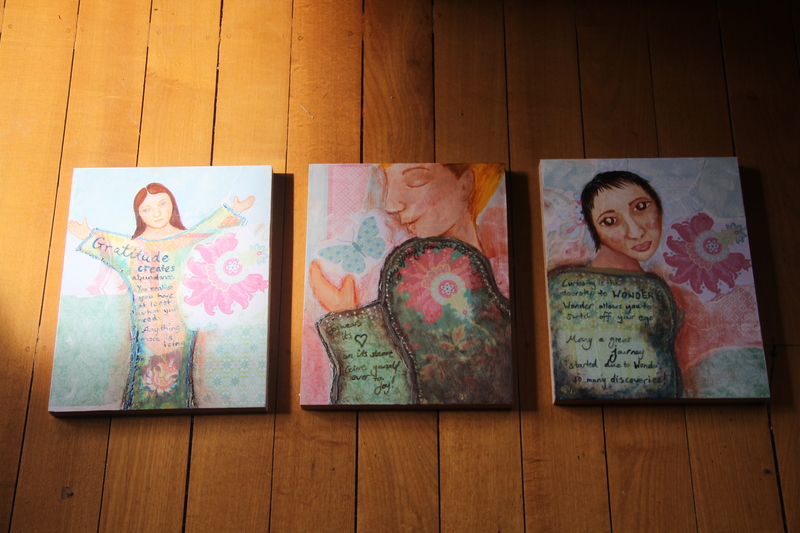 A series of three painting collages completed on wood panels. Inspired by techniques in “Taking Flight” by Kelly Rae Roberts book on various collage techniques and materials including scrapbooking paper and encaustic (beeswax) work. I took a concept like “wonder” and then wrote from the top of my head why I felt that attitude was important in life. I like the way these have ending up looking like a modern form of inconography.